Each state has to submit a plan to the U.S. Department of Education for how it will meet the requirements of the Every Student Succeeds Act. Seventeen states have already done so; state Superintendent Chris Reykdal will submit Washington’s plan on Sept. 18. When the new federal K-12 education law — called the Every Student Succeeds Act (ESSA) — takes effect this coming school year, parents won’t receive letters that their child’s school “needs improvement” because the school didn’t meet federal test-score targets, like some did before. Under ESSA, there are no federal test-score targets. That’s just one of the many changes coming as ESSA replaces No Child Left Behind, which was enacted in 2002. ESSA provides states with much more flexibility to come up with how they will measure student progress and hold schools and districts accountable for that progress, or lack of progress. Each state has to submit a plan to the U.S. Department of Education for how it will meet the requirements of the federal law. 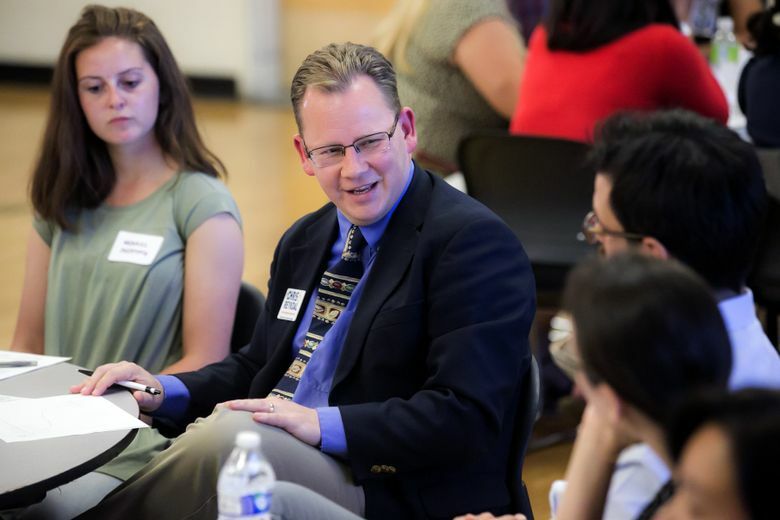 Seventeen states have already done so; state Superintendent Chris Reykdal will submit Washington’s plan on Sept. 18. The state superintendent’s office (OSPI) is seeking comments on the plan, which was released Aug. 7, before sending it to the education department. Washington residents can submit comments through Sept. 5. The newly released plan is the state’s second draft. Then-state-Superintendent Randy Dorn decided in November 2016 to delay submission to give the public more time to weigh in on the plan. The added time for public comments was praised by advocacy organizations like OneAmerica, who provided feedback on how the plan should address discipline rates and academic progress for English-language learners. The ESSA leadership team received hundreds of comments from Washington residents. “Given that this is a civil-rights piece of legislation, it was important that communities, particularly communities of color, were at the table,” said Roxana Norouzi, deputy director of OneAmerica. It’s important to get feedback on the different ways schools will be assessed, because how the state evaluates schools is a significant departure from No Child Left Behind, said Gayle Pauley, OSPI assistant superintendent for special programs and federal accountability. While the No Child Left Behind law has been credited by some groups with helping close some gaps in achievement between different groups of students, such as ethnic groups or special-education students and their classmates, critics said it had a “one-size-fits-all” approach to education across the nation. Another criticism was that it focused too much on testing as the only way to measure if schools were successful. 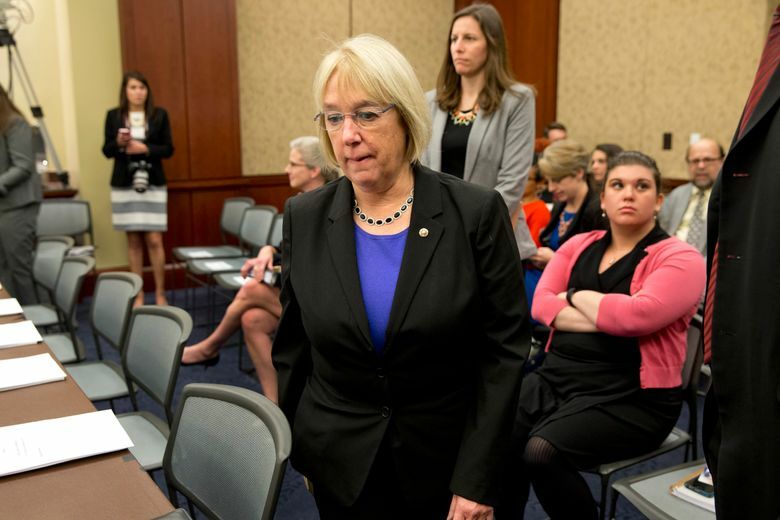 Washington state U.S. Sen. Patty Murray said the fallout from No Child Left Behind was one of the motivations for working to replace the law. She worked with Republican Sen. Lamar Alexander from Tennessee for more than a year to craft a bipartisan compromise, ESSA. Before: Schools were expected to meet Adequate Yearly Progress (AYP), which was based on test scores. To meet AYP, a certain percentage of students in a school or district needed to pass the state’s reading and math exams each year. The results were also broken down into different categories like racial groups, low-income and special education. If one subgroup didn’t meet its goals for how many students passed the tests, the entire school or district was labeled as failing to meet AYP. After: The change in accountability is big. 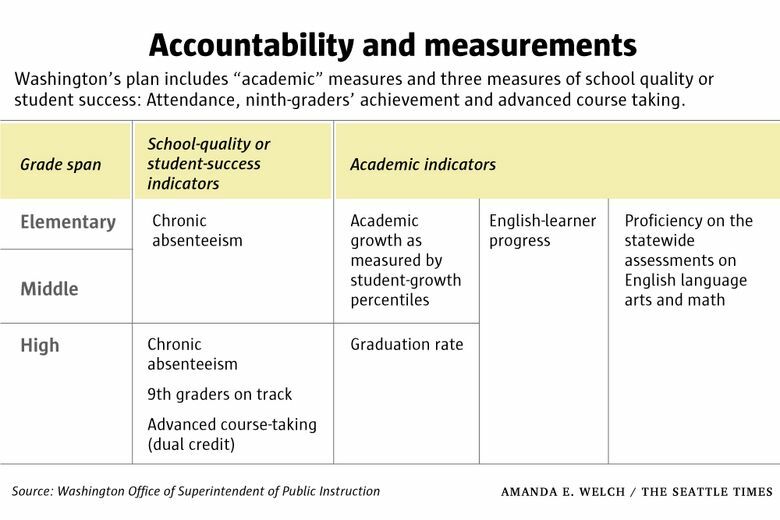 Adequate Yearly Progress is gone, and in its place are each state’s own accountability system for how it measures schools. Washington will use a 1-10 scale — other states have opted for different methods, like A-F — to identify schools that need support. Elementary and middle schools will be measured on math and reading test scores, academic growth, English-language-learner progress and chronic-absenteeism rates. High schools will also be measured on test scores, English-language-learner progress and chronic absenteeism, as well as graduation rates, ninth-grade academic achievement and dual-credit opportunities. Every state has to choose at least one “nonacademic” measure. Washington’s are chronic absenteeism, ninth-grade academic achievement and dual-credit opportunities. Other states have opted for different indicators. Connecticut’s plan, for example, includes postsecondary entrance rates and access to arts education. Washington’s accountability system is strong, said Brandon Wright, editorial director at the Thomas B. Fordham Institute, a conservative-leaning education nonprofit. The Fordham Institute looked at each of the 17 states that have already submitted plans plan and rated each based on whether it has clear labels, a focus on all students — not just low-performing students — and fairly measures each school. After reading Washington’s plan, Wright said the state would receive a high rating in each category. Before: Students were tested each year in math and reading in grades three through eight and once in high school. They were also tested in science in fifth and eighth grades. After: The amount of testing remains the same, and starting in 2018, 11th-grade students will also take science tests. But scores aren’t the only way that schools are evaluated. In Washington’s ESSA plan, schools will still be measured by standardized tests, but will include other criteria, as mentioned above. Before: Schools were considered low performing if they didn’t meet Adequate Yearly Progress. Title I schools — buildings that have a high percentage of low-income students — that didn’t meet AYP were threatened with sanctions like loss of funding and school closures. Those schools had to set aside federal money for private tutoring and bus costs for students who wanted to transfer. After: Title I Schools that have a weighted score — which includes both assessments and other criteria — at the bottom 5 percent across all student groups will be labeled a comprehensive school. In addition to those schools, any high school with less than a 67 percent graduation rate will also be labeled a school in need of comprehensive support. The past education law took more of a “shame-and-blame approach” with schools, the state Board of Education said, whereas ESSA’s approach is to identify a low-performing school and provide support. But some schools might have just one specific subgroup of students that doesn’t meet standards. Those schools will be labeled a targeted school. A school may appear to be doing well across the board, for example, but a deeper dive into the demographics may show that its Native students have much lower scores or high-absence rates. Targeted schools will receive more money and coaching to improve outcomes in that group. Students groups with low academic achievement won’t be overlooked like they may have been in the past, said Pauley, from the state superintendent’s office. Before: No Child Left Behind set a goal that all students pass their state’s reading and math tests by 2014. No state reached that goal. 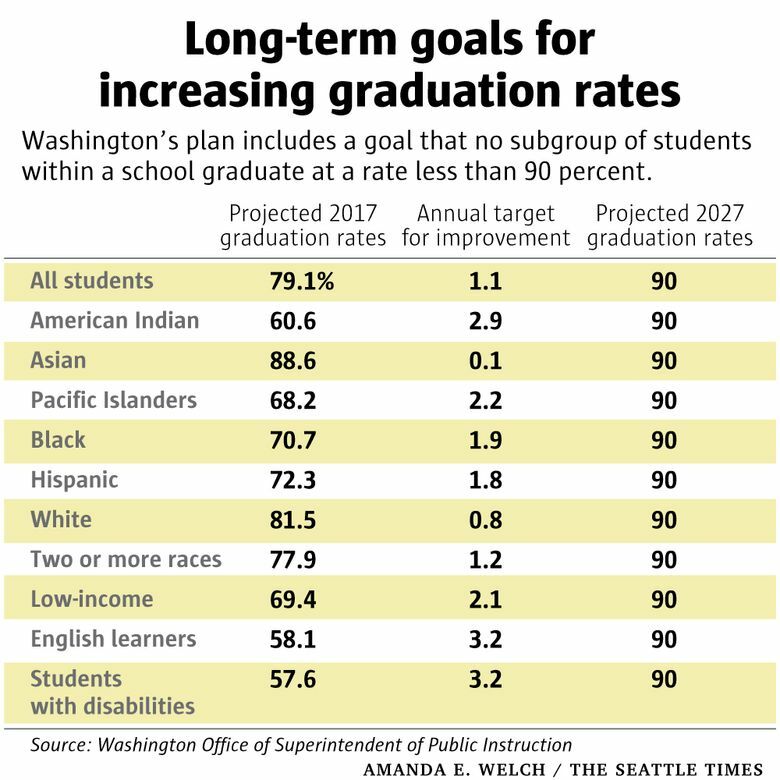 After: Washington has set a goal that each subgroup has a math and reading proficiency rate and a graduation rate of at least 90 percent by the 2026-27 school year. Each subgroup, in each school, will have annual targets to meet that goal. In order to meet the reading-proficiency goal, for example, the rate statewide will have to increase by 2.8 percentage points each year. 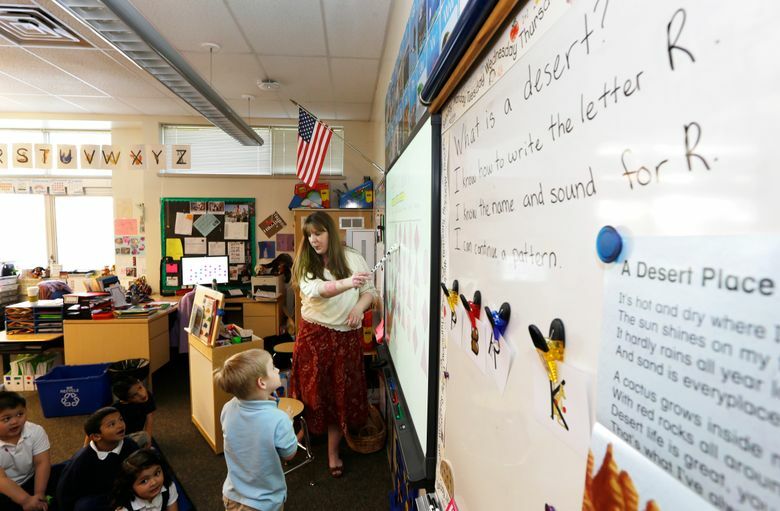 For special-education students, the annual improvement will need to be 6.6 percentage points. Hispanic students will need to increase passage rates by 4.5 percentage points each year. The projected graduation rate for 2017 for all students is 79.1 percent, so the graduation rate will have to increase by 1.1 percentage points each year to reach 90 percent by 2027. The goals for some subgroups are more ambitious: The graduation rate for students with disabilities and English-language learners will have to climb 3.2 percentage points every year in order to reach the 90 percent target.